“I understand that leaving was against the law,” Bergdahl said. “At the time, I had no intention of causing search and recovery operations,” Bergdahl added, saying that now he does understand that his decision to walk off his remote post in Afghanistan in 2009 prompted efforts to find him. Bergdahl, 31, is charged with endangering his comrades by walking away from his post. Despite his plea, the prosecution and defense have not agreed to a stipulation of facts in the case, according to one of his lawyers, Maj. Oren Gleich, which is an indication that they did not reach a deal to limit his punishment. The misbehavior charge carries a maximum penalty of life in prison, while the desertion charge is punishable by up to five years. He appears to be hoping for leniency from the judge, Army Col. Jeffery R. Nance. The guilty pleas bring the highly politicized saga closer to an end eight years after his disappearance in Afghanistan set off search missions by scores of his fellow service members. President Barack Obama was criticized by Republicans for the 2014 Taliban prisoner swap that brought Bergdahl home, while President Donald Trump harshly criticized Bergdahl on the campaign trail. The serious wounds to service members who searched for Bergdahl are still expected to play a role in his sentencing. The guilty pleas allow him to avoid a trial, but he still faces a sentencing hearing that’s expected to start on Oct. 23. Bergdahl’s five years of captivity by the Taliban and its allies also will likely factor into what punishment he receives. 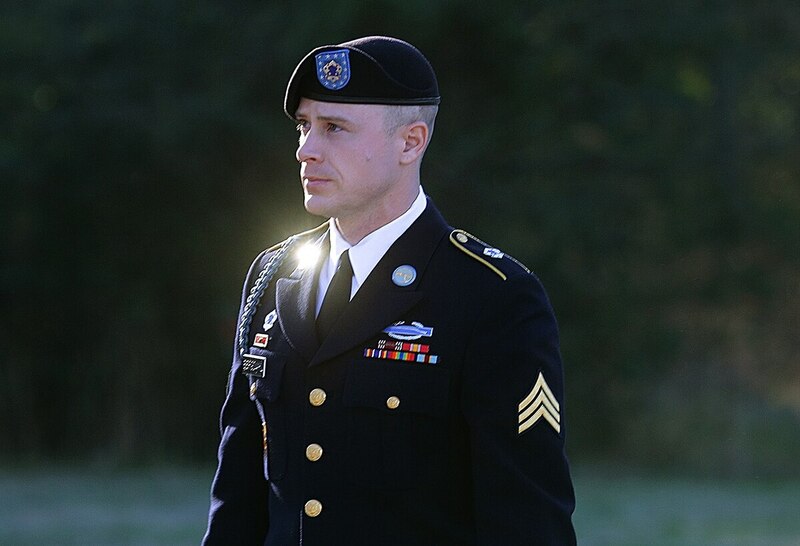 Bergdahl, who’s from Hailey, Idaho, previously chose to have his case heard by a judge alone, rather than a jury. Legal scholars have said that several pretrial rulings against the defense have given prosecutors leverage to pursue stiff punishment against Bergdahl. Perhaps most significant was the judge’s decision in June to allow evidence of serious wounds to service members who searched for Bergdahl at the sentencing phase. The judge ruled that a Navy SEAL and an Army National Guard sergeant wouldn’t have wound up in separate firefights that left them wounded if they hadn’t been searching for Bergdahl. The military probe of Bergdahl began soon after he was freed from captivity on May 31, 2014, in exchange for five Taliban prisoners. Facing Republican criticism, Obama noted that the U.S. doesn’t leave its service members behind.